Lucas Dobre is an American dancer and YouTuber who rose to fame through the now-defunct video application Vine. He along with his twin brother Marcus has a YouTube channel called “Lucas and Marcus,” which has earned over 8 million subscribers. Besides, Lucas has a strong social media presence, of which particularly on Instagram, he has amassed more than 3.2 million followers. Lucas Dobre was born on 28 January 1999, in Gaithersburg, Maryland, United States. His ancestry is Romanian and Middle Eastern. Lucas attended South Hagerstown High School. 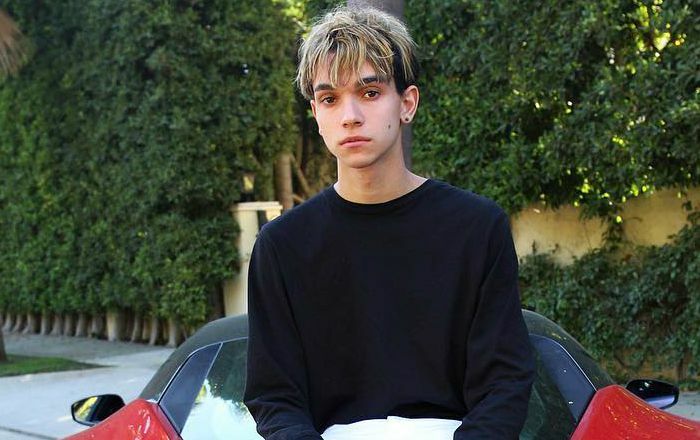 Lucas Dobre has been dating fellow Instagram star and model Ivanita Tototlán from February 2018. Lucas Dobre made his first television appeared appearance on Disney comedy series Bizaardvark. Though he hasn’t explicitly revealed the brands that he has been working for, but he makes use of his massive popularity on different social media platforms like YouTube and Instagram to promote brands and products. Lucas has an estimated net worth of $350 thousand dollars. He and Marcus first gained fame on the 6-second video app Vine, where they had more than 1.8 million followers before it’s shut down. He is a highly skilled dancer and that brought him the much-needed fame on the online community. He has a lot of tattoos on his body identical to his twin brother Marcus. Lucas is a good diver and swimmer. They post a diverse range of video content, including skits, pranks, gymnastics, challenges, and vlogs. They were used to be a member of fellow YouTube star Jake Paul‘s Team 10. In March 2018, the Dobre Brothers had signed with Creative Artists Agency (CAA), one of the largest talent agencies in Hollywood.